Polished Patricia: My First Liebster Award!! A few days ago, I was nominated for a Liebster Award by Chrisie at Fingers and Toads. For only having just started, and having 9 followers, this is pretty exciting! 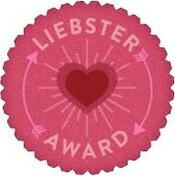 The Liebster Award is given to new bloggers with less than 200 followers. It was really interesting to find out how it originally started and to see how much it has changed over the last couple of years or so. 5. There's no tag backs. 1. I REALLY AM 30!!! 2. I've been married for almost 7 years. 3. I have 2 kids.. Jessica is 6 and Eli will be 2 next month! 5. I love to read! My book collection is way bigger than my nail polish collection. 6. I lived in Canada for almost 2 years. 7. I don't mind doing laundry, I just hate folding it, hanging and putting it away. 8. My toes are naked! 9. I start Christmas shopping for the kiddos a few months early. I'm not one to wait for Black Friday to snag some good deals. I'm of the belief that if you do smart shopping throughout the year, you can find good deals on stuff and not have to deal with the crowds and limited stock. 10. I have 7 plants sitting on the very top of my desk. 11. My bedroom is a disaster area. See #7. Everything is in baskets and hampers! 3. I have several tattoo's, Do you have any or want any? what are they? I currently do not have any tattoos. I do want to get my kids' footprints done as the wings of a butterfly. I also want to get the Serenity Prayer tattooed somewhere. 5. If you could have an exotic animal, what would it be? A leopard. 6. If super powers are being issued out, would you get one? and which one? Yes, super strength.. maybe. 9. Have you ever taught a a family member/friend how to do nail art/stamping? I tried to show my mom. I don't think she's tried yet. 10. Do you hear alot of dumb comments about your nail polish collections? My husband doesn't understand it. He keeps saying I only have 10 fingers and 10 toes, why do I need so much nail polish? I don't expect him to ever come home with some really fabulous nail polish, though.. lol. 11. Do you like sandwich polishes? I do now!! I did my first jelly sandwich last weekend and wore it for a week! :) It's coming off tonight and I'm thinking about doing another one. 2. Have you ever painted your significant other's nails? Would they let you? 4. Do you like your coffee black or with cream and sugar? 7. Why did you decide to blog? 8. Do you have a green thumb? 10. Have you ever put yourself on a no-buy? 11. What's the most you paid for a nail polish? Have a great weekend!! There may be another mani post up tomorrow!